India’s North East region is one of the most strategically located region in the nation bordered by a number of countries and connected with the rest of the India through a small enclave. The region borders Nepal, Bhutan, China, Myanmar and Bangladesh and is also known as the gateway to East Asia and South East Asia. Its strategic importance is further increased with India’s ‘Look East’ policy. However, the region as a whole has been somewhat neglected by the government and the media. Trade with the South East Asian countries mainly via sea has seen a rise under India’s renewed policy of better engagement with the eastern nations, but the land connectivity has been ignored which can really help boost the development in north east. Negligence has been observed over all this time for the whole region including the eastern neighbour Myanmar. It is well known that in 1947 India was partitioned forming Pakistan, but very few know the fact that in 1937 Myanmar was divided from British India. Since Independence, India has not shown much interest in its divided arm in the east. A more attentive and evaluated approach specially designed for north east is needed for the sustainable development of the region as simply implementing Gujarat or Bihar model will not work for this nature loving and culturally diverse place where each state has its own requirement. One of the biggest step taken by the government is the setting up of the campus of India’s most prestigious research and academic institute of technology, IIT. Indian Institute of Technology, Guwahati, founded in the year 1994, is among the first seven premium IITs which developed with time and established themselves as the seven pearls of India. IITG has been officially recognised as an Institute of National Importance by the government of India. Unlike other IITs which are situated in the main cities, IITG is located in a remote area which has induced it to become one of the most active IITs to take up sustainable development projects in the greater region surrounding it. From better amenities and lifestyle in the city of Guwahati to improved management of natural resources and renewal energy, various professors and their team are working for preferable infrastructure and lifestyle that would not just help the north east, but whole country in the long term. Dr. Arup Kumar Sarma of the Dept. of Civil Engg. with his team, in one of his ambitious project, assessed the groundwater fluoride contamination in the city of Guwahati. He took his study forward to study the iron, fluoride, arsenic contamination in the groundwater and its controlling measures in the affected regions of the north eastern states. Possible groundwater fluoride contamination motivated Dr. A.K Sarma to undertake another project for the utilization of surface water for water supply in Greater Guwahati, this will not only restore the water table, but will also help study the fluoride contamination problem. Numerous efforts are being made for the better management of north east’s life line, River Brahmaputra and to save the river from human activities. River Brahmaputra is ideally the longest river of India, However, it is known with a different name, Tsangpo, in Tibet making River Ganga the longest river flowing through India. Unlike many rivers in the Indian cities which are dry and dirty, the view of Brahmaputra on the way to IITG coming from the Guwahati city is spectacular with its large volume of water flowing really fast and its massive breadth containing small river islands in it. Dept. of Civil Engineering of IITG has conducted several hydrographic surveys in the River of Brahmaputra, Ganga, Mekong and their tributaries for various projects like providing measures against flood, draught and river bank erosion. Soil erosion along the river banks have caused great concerns in the region. According to official estimates from 1954 to 2003, Assam has lost four lakh hectares of land to erosion. Large chunks of land in many tea estates situated near the banks of rivers have been lost because of massive erosion due to the change in course of rivers in the three districts. Another aftermath of soil erosion is the loss in the area of Majuli Island. This island, situated in the River Brahmaputra, is the largest river island in the world which had a total area of 1,250 sq. Km. Now it has significantly come down to mere 421.65 sq. Km, a loss of nearly 66%! Dr. Arup Kumar Sarma’s team is devoted to study the erosion in the Braided Channel of the Majuli Island with a mathematical model. North East region consists of some of the most difficult terrain, roads and railways are still intact where British engineers had left. Seeing this, north east can take advantage of its high volume rivers for making efficient waterways. IITG’s Civil Engg Dept. feels that North East India’s water resources are underutilized and a number of projects can be taken to provide the local people its benefits efficiently. 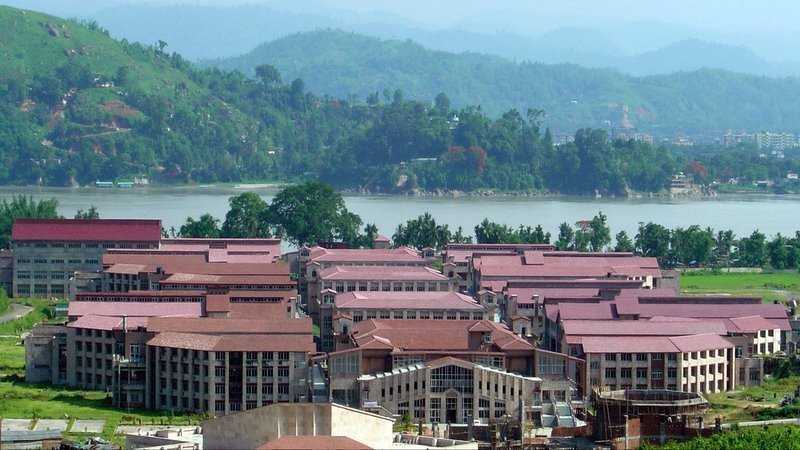 IIT Guwahati is studying the scope of developing the River System of Brahmaputra as an Efficient Waterway and development of inland water transport in the east and north east India. Another study is examining the scope of linking various rivers and its tributaries in the region for flood mitigation and for efficient use of the fresh water as the river at last goes and merge with the Bay of Bengal Sea making the water unusable for drinking. There have been growing concerns after an IITG study has found degrading water quality in the tributaries of Brahmaputra-Barak Basin. IITG is developing an environmental management strategy to tackle the issue as early as possible. In more such research projects, IITG is studying the scope and constraints of reservoir project in North East India. In 2004, IITG team lead by Dr. A. K. Sarma conducted field investigation for developing a Detailed Project Report for a mini hydroelectric project in a remote area of Manipur. 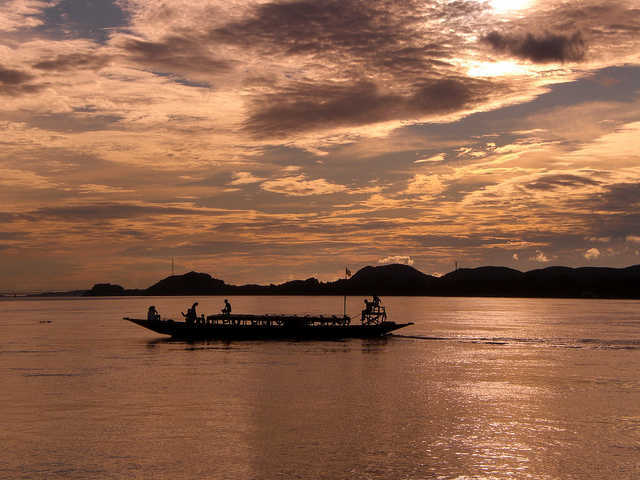 A study conducted by IIT Guwahati on the impact of climate change on the water resources of the Brahmaputra basin brought to the light that there would be symbolic changes in rainfall pattern and temperature in the future. “High intensity rainfall of shorter duration and longer dry spells will affect the flood and drought scenario,” said, The chairman of the North Eastern Tea Association (NETA), Bidyananda Barkakoty. This will cause significant damage to the tea crops in Assam and north east which is the most famous black tea in the world. Growing concerns in the tea industries, in 2011, tea gardens in Golaghat, Karbi Anglong and Jorhat districts approached IITG for developing rainwater harvesting infrastructure for better nurturing of tea crops tackling climate changes. In the area of sustainable development, quality of lifestyle and natural resources a lot of attempts and achievements have been made by the IITG, but that is not where its role ends. IITG has also taken up the challenge of refining and nurturing the most promising resource, the human resource. No doubt every year IITG produces first class international standard science and engineering graduates, IITG has also dived into giving short term management and training courses for local students with Indian Institute of Management Shillong. IIM Shillong was the earliest addition to the well-known already established six IIMs across India. Thus, North East region received again the seventh campus of most prestigious management institute of India, IIM. IIT-G and IIM-S together will be providing courses encompassing subjects like management, entrepreneurship, tourism and hospitality with an attempt to stop the emigration of youngsters from the North-East to other parts of India, while also helping them refine their skills for better employment opportunities. In a similar program with a motive of creating entrepreneurs in north east IITG has setup Entrepreneurial Development Cell (EDC) which is a special interest group under Technical Board of the Students Gymkhana Council responsible for activities and initiatives to promote the spirit of entrepreneurship amongst the IITG community as well as the youth of North-East India. The EDC organizes lectures, events and workshops to create a platform for students to realize their entrepreneur potential. Such a program will help develop businesses and create more jobs in the region helping prevent the exodus of youngsters from North East to other parts of India. In a society where to most of us development means construction of malls, high rise residential buildings and hi-tech office complexes, in North East, IITG has made sure that every development benefits every class of the society without disturbing the nature, which is most revered by all of us.